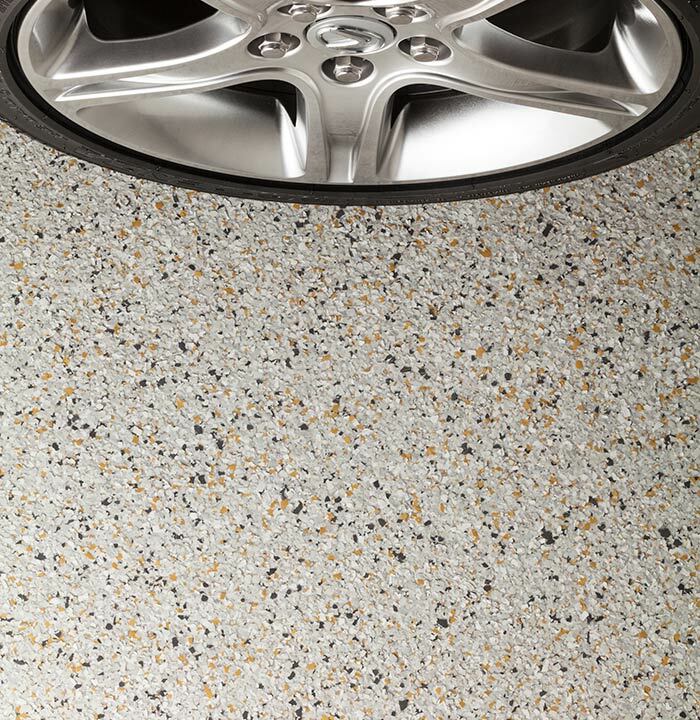 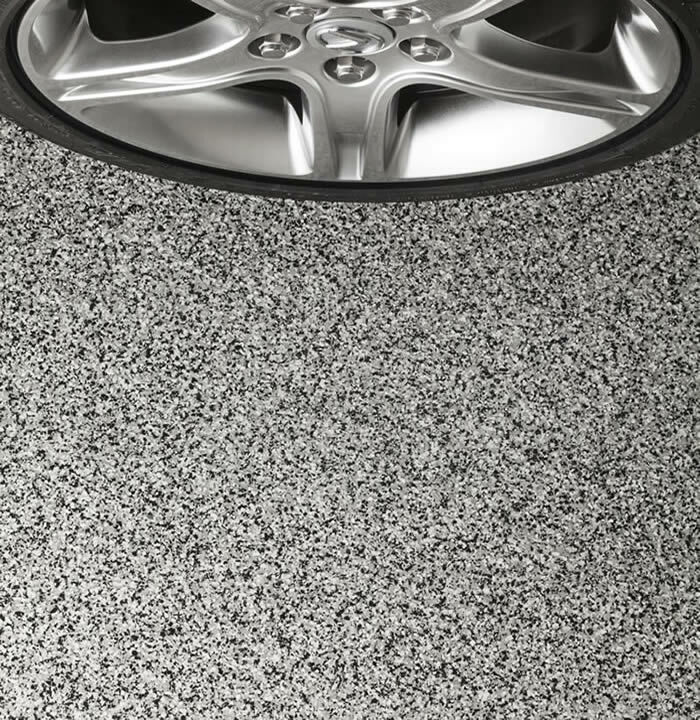 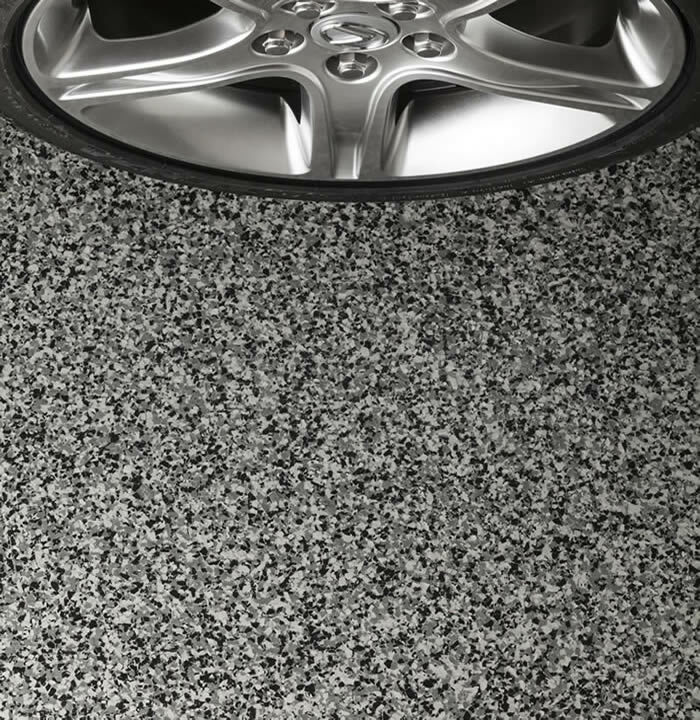 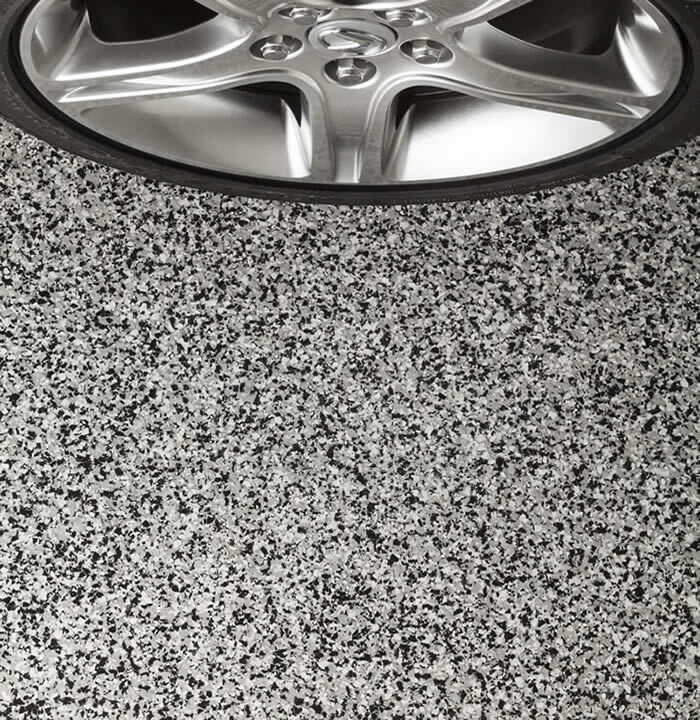 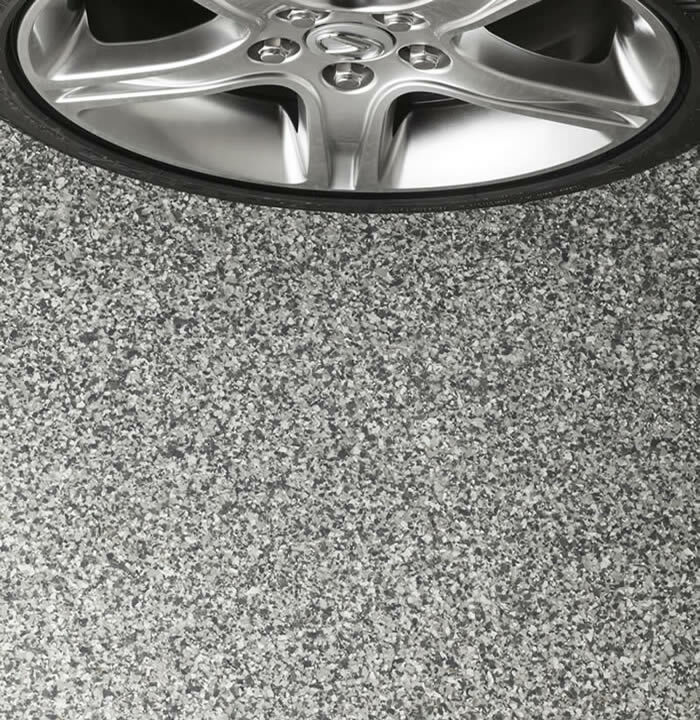 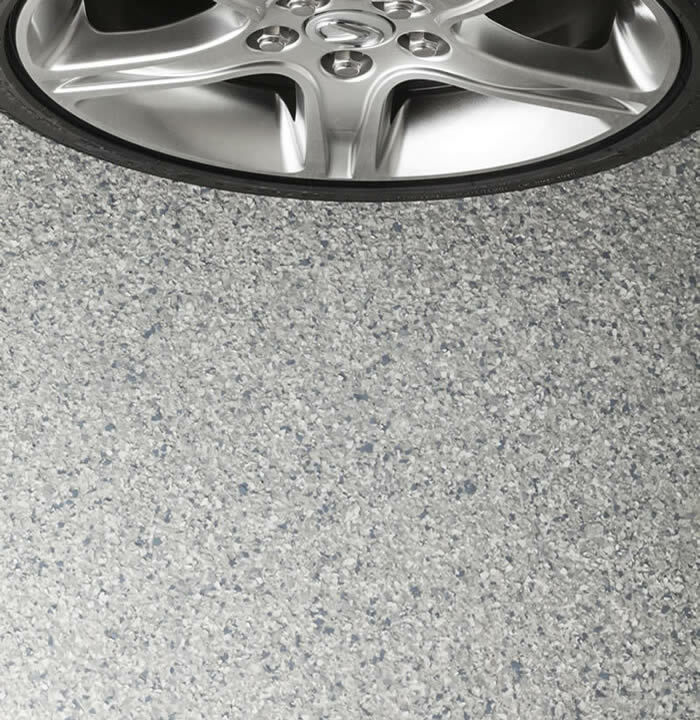 Whether you have a working garage filled with power tools, DIY supplies and motorcycle parts, or your garage is a Man Cave for relaxing and entertaining friends, you can't find a better floor than a PremierOne decorative texture floor coating. 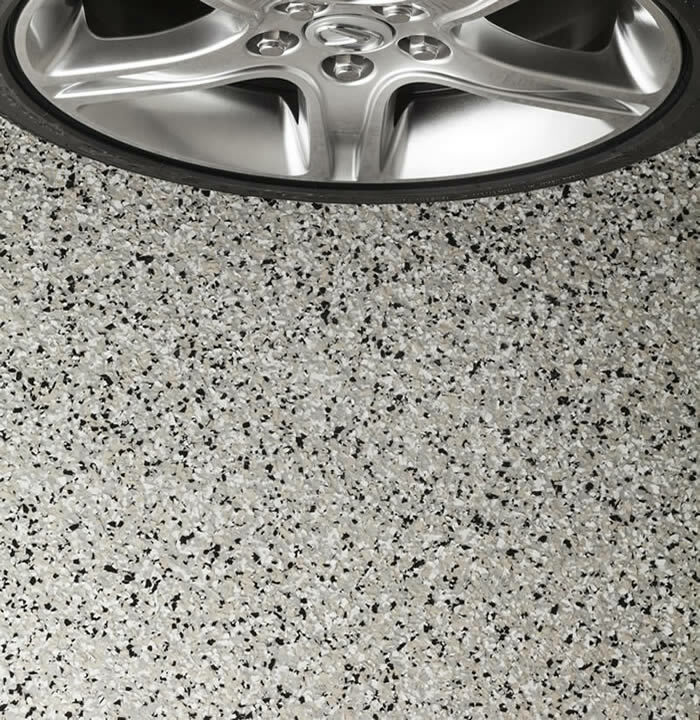 The toughest industrial-strength, hybrid polymer floor coating available, this floor is able to withstand whatever you can dish out. 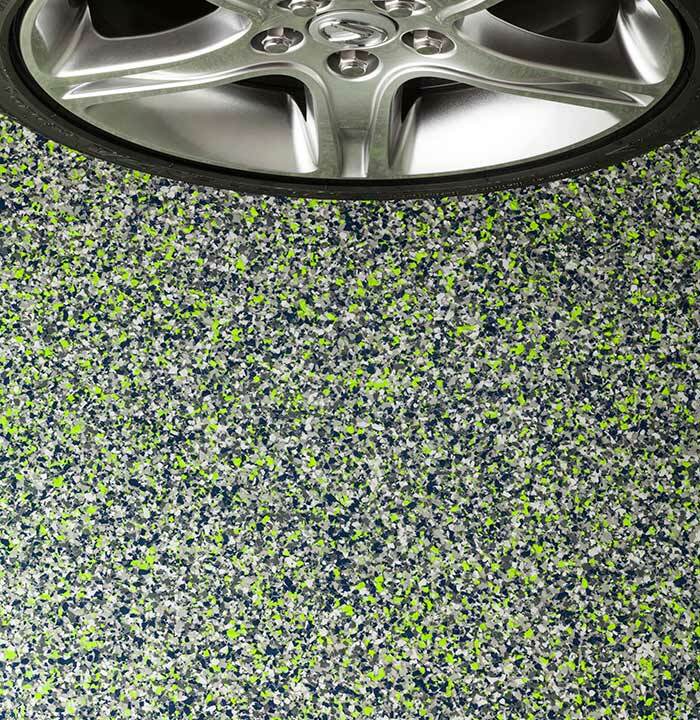 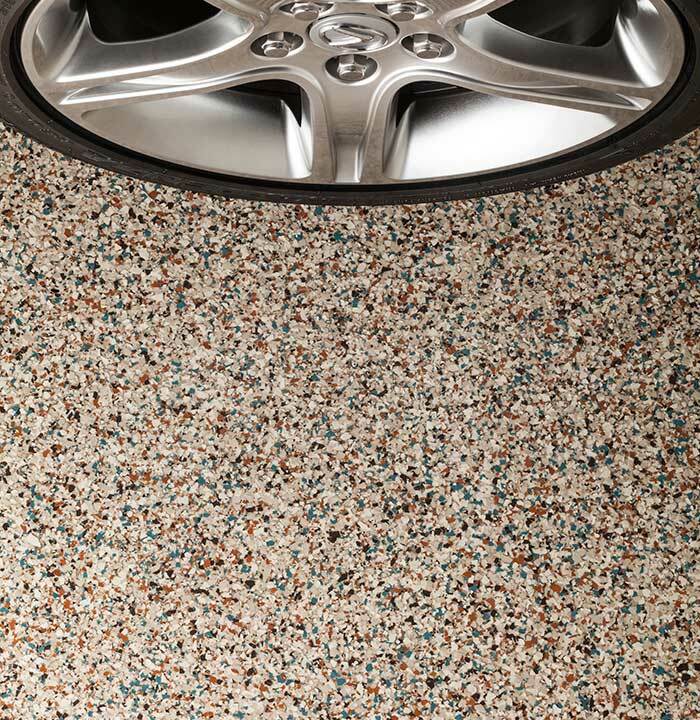 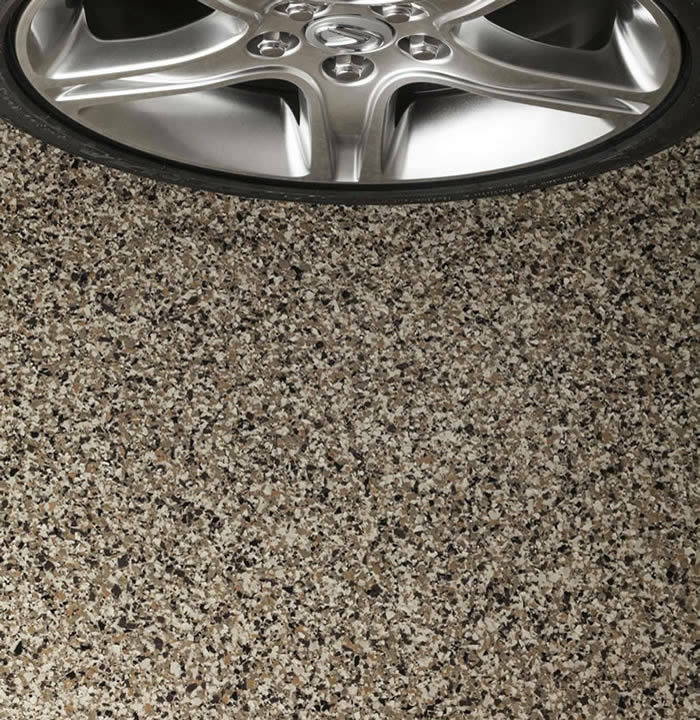 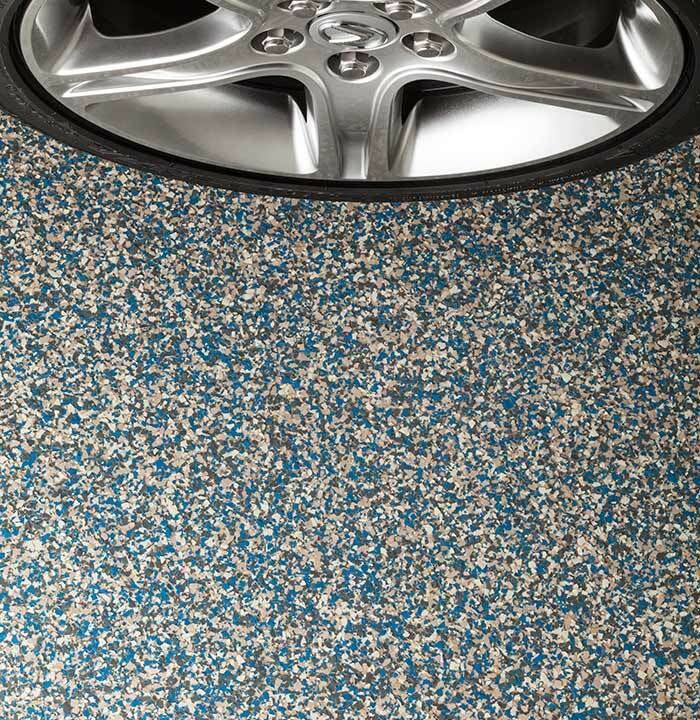 Available in 18 color combinations (12 with 1/4"chips and six with 1/8" micro chips), you'll be able to find the perfect color match for your garage sensibilities. 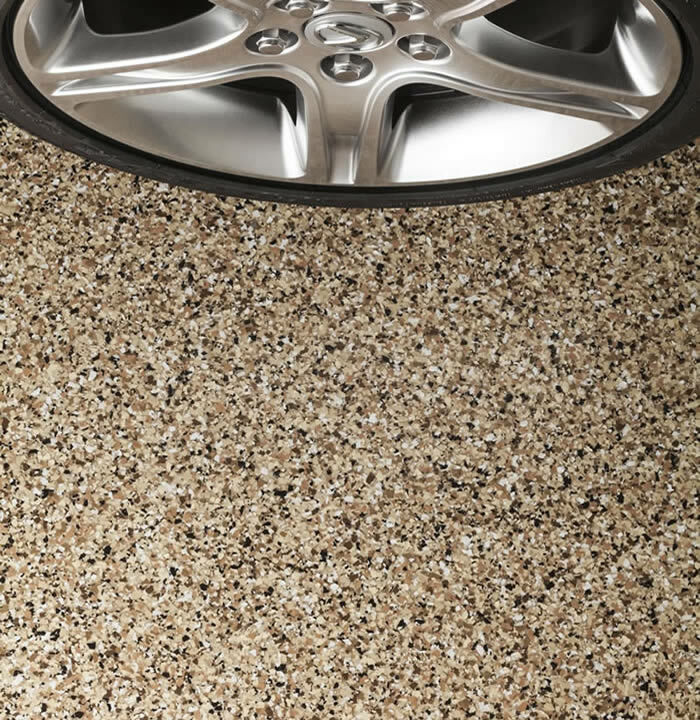 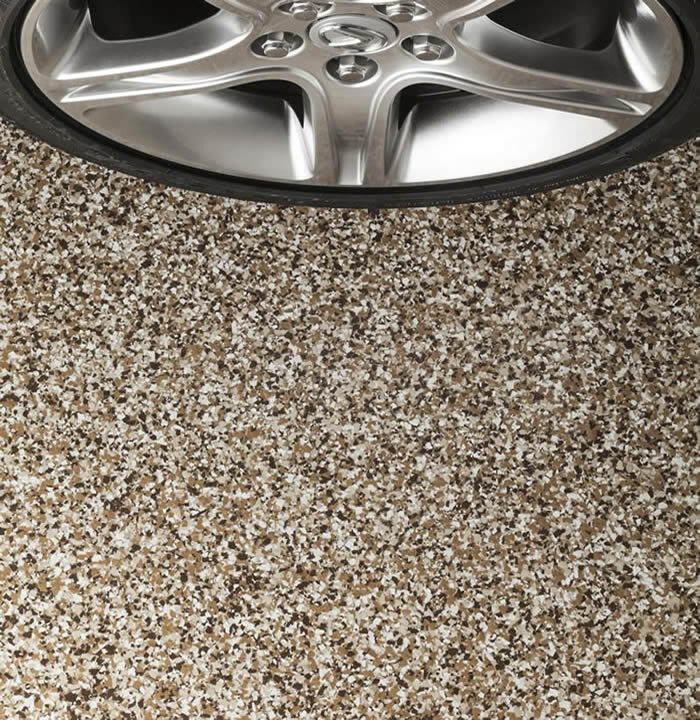 Match your car, coordinate with garage storage cabinets or just pick a color you love from our Earthtones, Graytones or Micro collections, or custom blend a color that's all your own. Our trained technicians begin the installation process by machining your floor in order to open the pores to allow PremierOne's industrial resins to soak into the concrete and take root. The result is a permanent chemical bond that will substantially outperform do-it-yourself products or one-day floor treatments that merely lay on the surface, making them susceptible to peeling, tearing and wear.